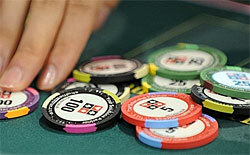 Gamblers, no matter if they are problem, addicted or compulsive, always have to remember, that they are not alone. There are so many gamblers, who need real help, that the States and other countries of the world can't stand aside and observe their destruction. They are making lots of anti-addiction policies, lots of effective and not very useful programs, and all this is being done for the sake of risk awareness and just appropriate treatment. Maybe the main national background of the gamblers' problems is National Council on Problem Gambling, which does all the possible and impossible things to provide help and resultant treatment to the needed ones. This council has its branches throughout the world, but the main one was originated in the USA in 1972 by Joseph A. Dunne and Robert Custer. To conduct researches, implement policies and different programs to prevent problem gambling. To maintain the neutral position, concerning gambling laws and legalization. The council is really independent from the gambling industry, having its own board, but at the same moment, it has no ties with gambling organizations and just public policies. The expansion of educational issues of problem gambling to both international agencies and governments. The concentrated help of the NCPG is spreading to take the national level, while the subclasses take care about gamblers and their families on the local and regional level. The 25th "National Conference on Problem Gambling" will be held in Boston from June, 30 till July, 2 in 2011. Along with the Council's partners, there will be New England Consortium, which will try to help in the very significant meeting of "Problem Gambling Prevention, Research, Recovery and Treatment".